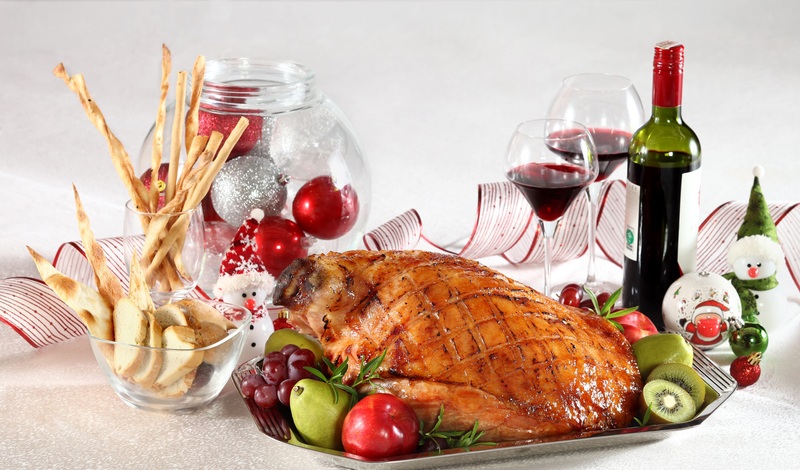 Diamond Hotel Philippines gives you delectable reasons to celebrate and be merry this holiday season. Make Diamond Hotel Philippines your preferred dining destination to make the Yuletide season sweeter and more memorable. Please your palate with exquisite dishes from around the world at Corniche which offers its Christmas Eve and Christmas Day lunch and dinner buffets. The Christmas Eve Lunch and Christmas Day Dinner Buffets are made more special with the inclusion of a complimentary glass of Cava (Spanish sparkling wine). On December 25, enjoy entertainment from a Trio musician, magician and mime during lunch, and a pianist during dinner. The Yurakuen Japanese Restaurant has an equally tempting and authentic spread of Japanese specialties with their Christmas Set Menu available during lunch and dinner on December 24 and 25. The set menu is also inclusive of a glass of Cava and ambiance is complemented by live musical entertainment. An acoustic duo performs during Christmas Eve dinner while on Christmas Day lunch, a saxophonist, magician and mime is set to enliven guests. Then, a violinist serenades diners during Christmas Day dinner. On December 24, 25, 31 and January 1, the Lobby Lounge is the ideal venue for your holiday get-togethers. Avail of the Christmas Four-Course Set Lunch and Dinner complemented with a glass of sparkling wine. And after all the hearty holiday feasts, relax and unwind with your favorite drink or cocktails at Bar 27, the hottest bar in the bay area, as you listen to the featured band performers. Entertainment starts at 9:30pm. Welcome 2017 with a bang! Diamond Hotel celebrates as the world bids adieu to 2016 and greets the New Year with dazzling offers for December 31. A superb buffet spread awaits guests at Corniche where they can indulge in the New Year’s Eve dinner which includes a glass of Cava, party favors and access to the New Year’s Eve Countdown Party with live performances from bands Red Picasso and Zyncxation. Yurakuen features a Japanese dinner feast to usher in the New Year which includes Cava and acoustic duo for entertainment. Guests can celebrate with class at the Lobby Lounge with its midnight buffet spread and access to the New Year's Countdown party. Also, a 20% discount is extended for every order of a bottle of wine. While at the Mezzanine Area, you can also indulge in a festive midnight buffet spread and join the New Year's Countdown party. The end of the year celebration will not be complete without the much anticipated New Year’s Countdown at Bar 27! Have fun and party all night with the J-Project Band and DJ Gladwin Guttierez. Experience Holiday Season at its best and sweetest only at Diamond Hotel Philippines!